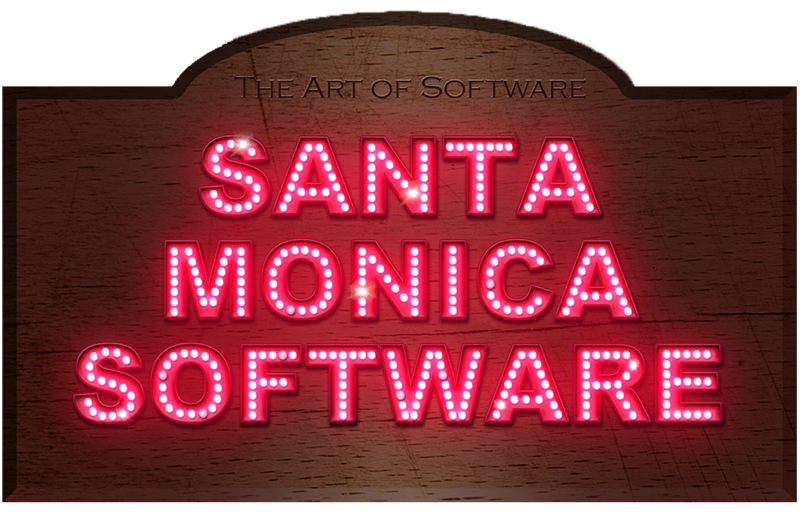 Santa Monica Software is an exclusive brand of Michael Harclerode, aka. 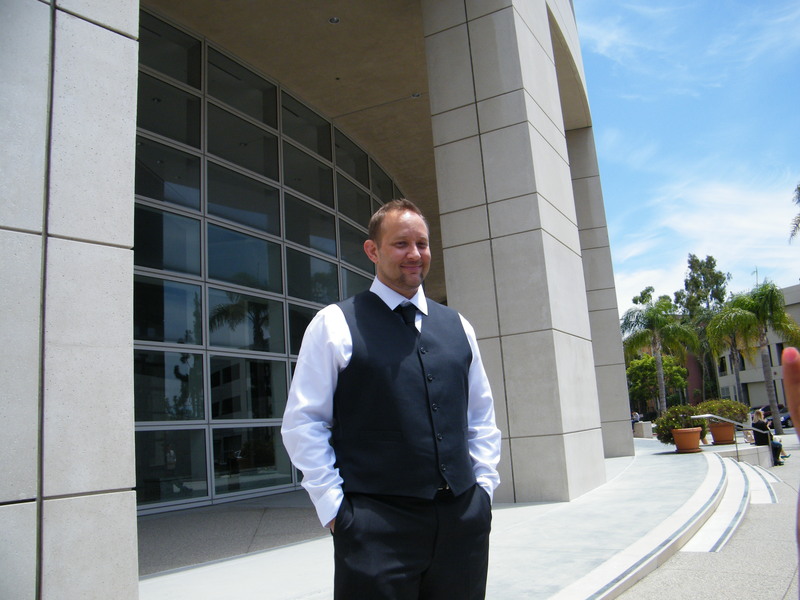 “Harc”, a software producer, designer, and developer. If you are interested in more of the early beginning (and some other fun trivia), check the retrospective down below. Known by select few as the Lebron James of technology (with a sense of humor), Harc is a creative technology leader and solution designer with a professional history ranging from start ups to established organizations which include Medical Physics, Fitness, Digital Education, Environmental Commodities, and Commerce. 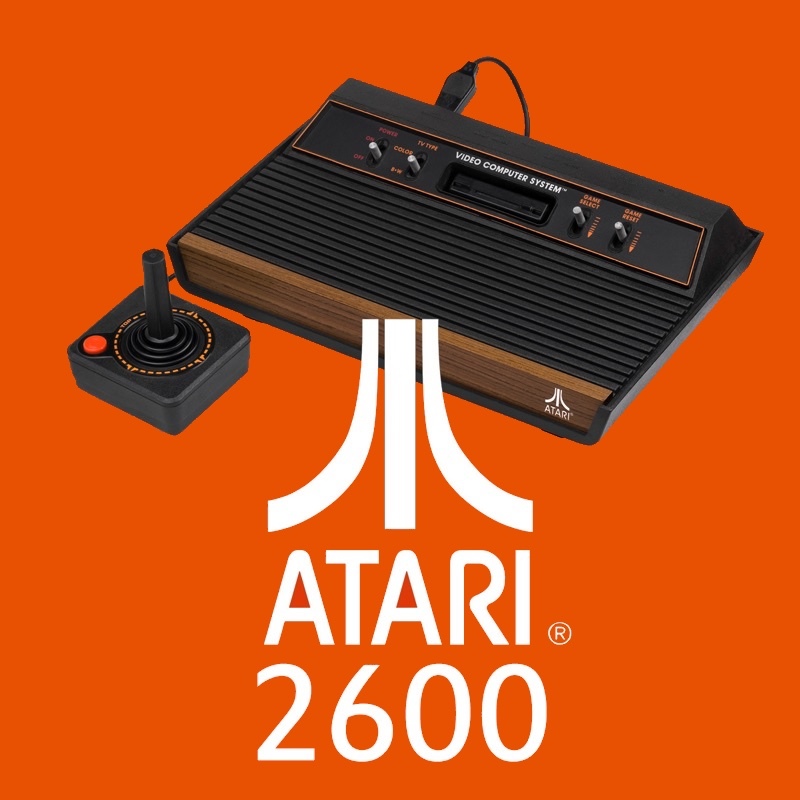 In late 1977, Atari releases the 2600 Video Game Console – an epic step in technology and entertainment, and maybe one of my all time favorite Christmas gifts. I’m just 5 years old – my dad, who worked in the early corporate computer industry at Blue Cross Blue Shield’s computer center, was cool enough to get me and my brother Mark this gift for Christmas. I loved it! 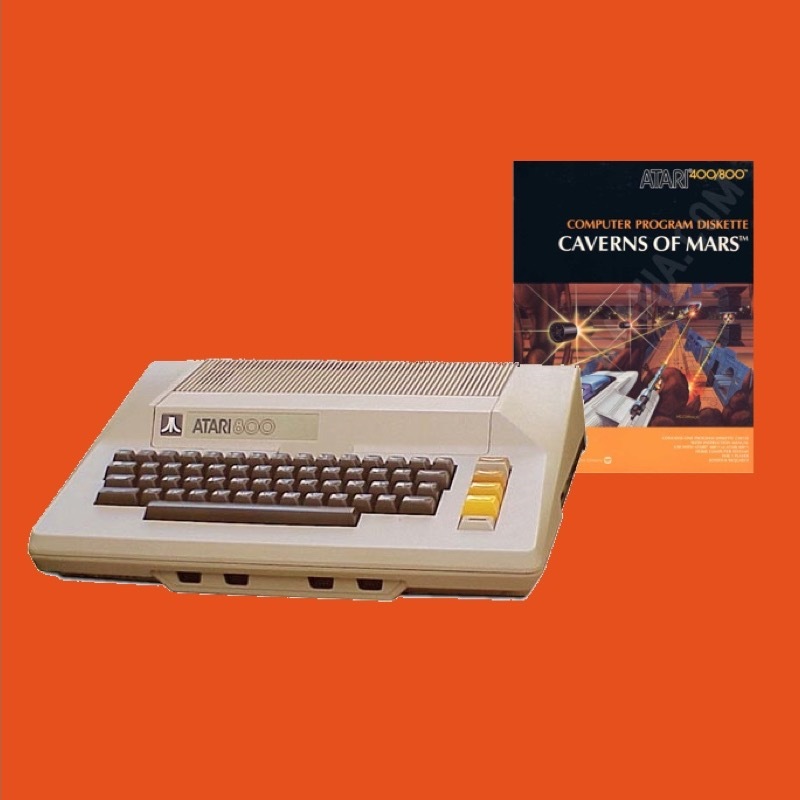 From 1978 to 1982 was an epic era for Atari; continuing after the success of the Atari 2600 game system, Atari releases the Atari 400 and Atari 800 PCs. 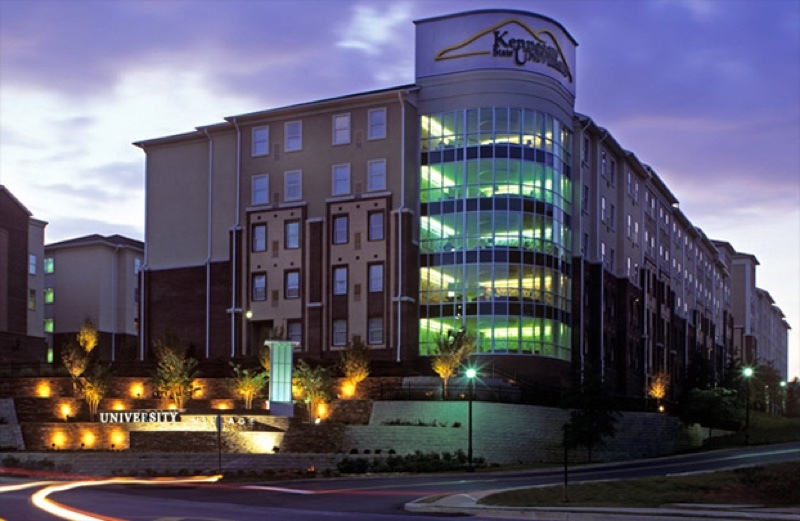 Built as hybrid game machine and computer system, they set the precedent for computer gaming for decades to come. 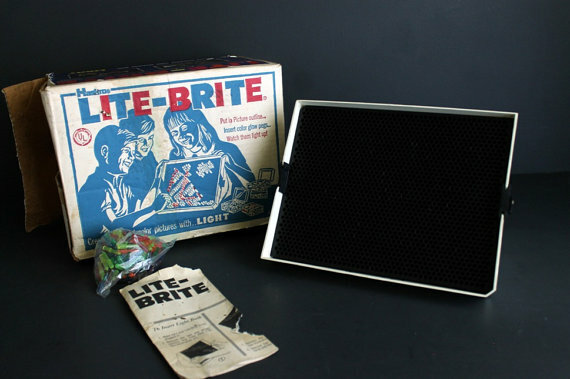 We live in Vero Beach now, and my dad works for Harris Corp; on the side he and his friend have a small PC shop selling these bad boys; I still remember my nights there with my dad, learning (and playing) on the Atari’s they sold. 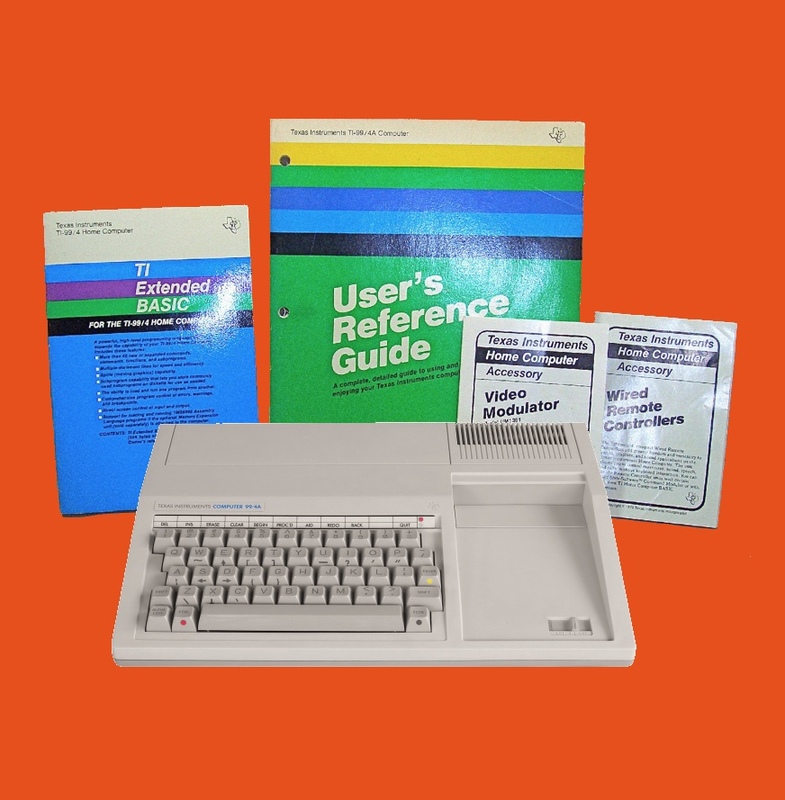 Texas Instruments has been active in PC manufacturing for some years, and puts out successor to the TI-99/4 model originally released back in 1979. The new unit is a 99 4/A, and it’s the very first 16-bit PC (ever). I’m 11 now, and I get a TI 99 4/A for my birthday! I guess pops figured I liked the computers at the store so much, why not? With the computer comes some basic instructions on the operating system, on how to “load” games which requires some basic programming (TI Basic to be exact). I guess these interactions and a programming book that came with the computer led me to want to make my own text adventure game; I only half finished the story as I hit the memory limit on the machine. Apple, Texas Instruments, Atari, and Commodore put out great PCs in these years; it’s just before the 8086 IBM DOS architecture releases to mainstream, so machines all have different and unique options. Between my brother having a Commodore-64, a new friend at school who has a TRS-80 and even better an Apple IIe, I’m a full fledged computer hobbyist, having created programs on all these models. 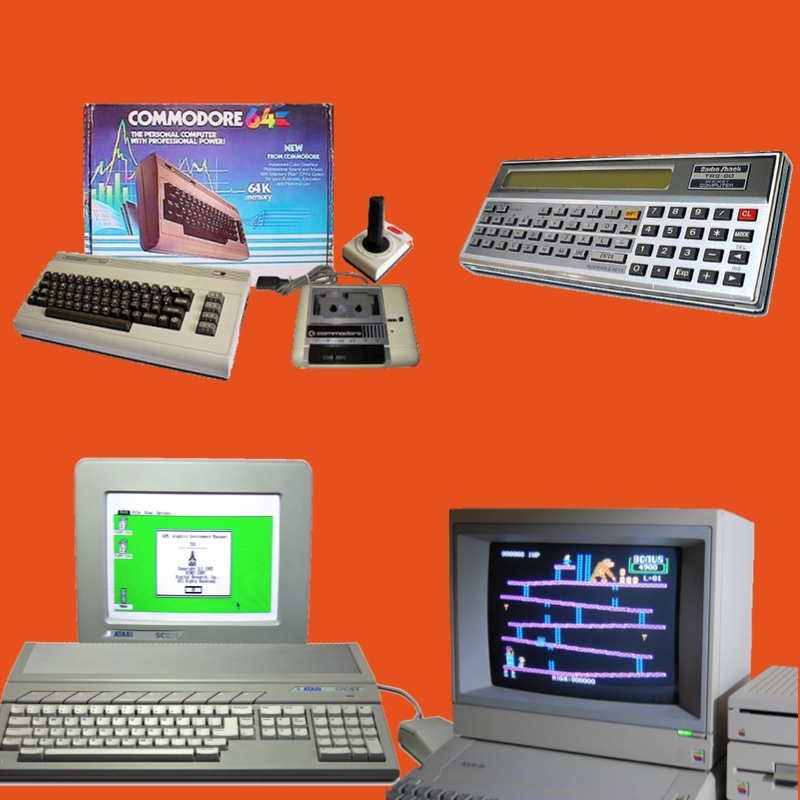 For my 14th birthday in 1986 I get a “dream machine” – the Atari 1040ST! 1988 – 1995 is the era of the IBM compatible PC architectures: 8088, 8086, 80386, 80486 / DOS and Windows emerge (as well as OS/2 from IBM, which was probably a superior OS but never quite made it mainstream). 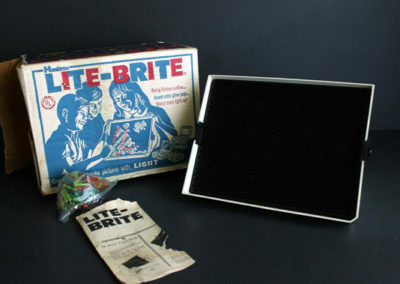 These came out before my time (late 60’s), but I think remained popular for decades! The unit was kind of shaped like a CRT monitor, and had a back light. You inserted colored pegs (red, blue, orange, green, yellow, pink, purple, and clear) and could use to make awesome light up artwork. 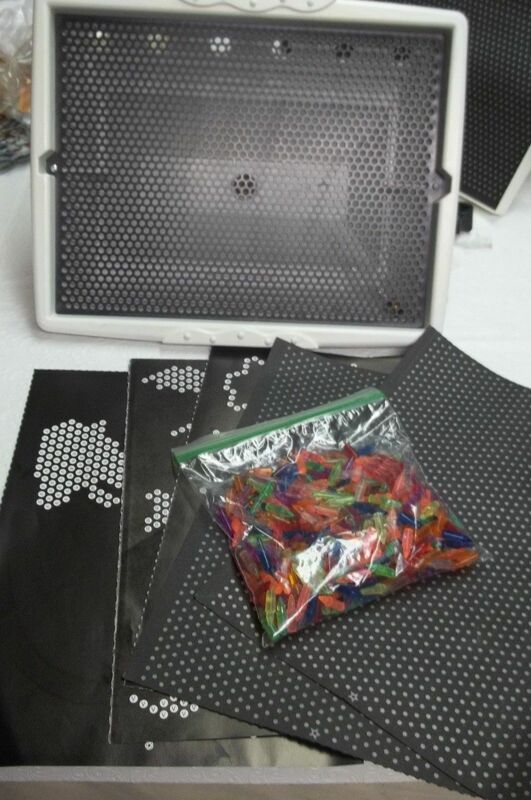 There was plain black paper for making your own creations, and there were also templates that would help you make a whole scene – awesome! 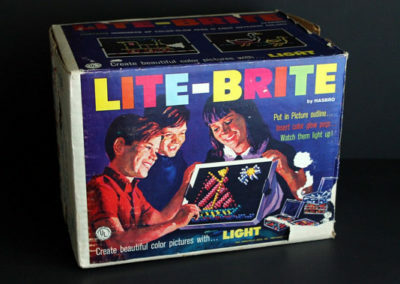 Thank you Hasbro and LITE-BRITE for introducing lit up art to the world! 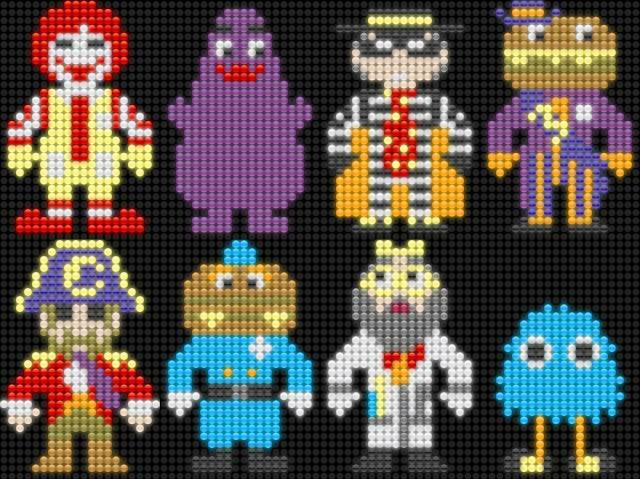 I found this over the top sample of LITE-BRITE usage on Toys2Remember.com – Thanks David Crowder Band for this inspiring song & video I found to show what a Lite-Brite is/can be! 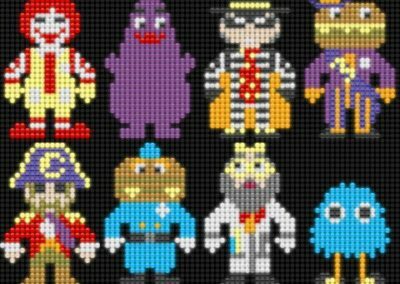 Over 2,000 hours of work, 700,000 vintage Lite-Brite pegs, and a bazillion kilowatts of creativity to make a stop motion LITE-BRITE music video! 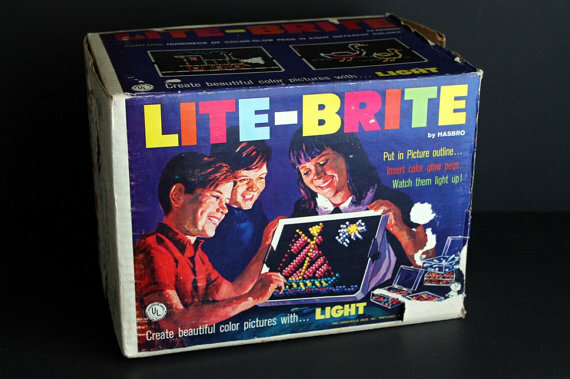 Here’s just a few more references and links about this awesome toy – apparently they’re still out there today! 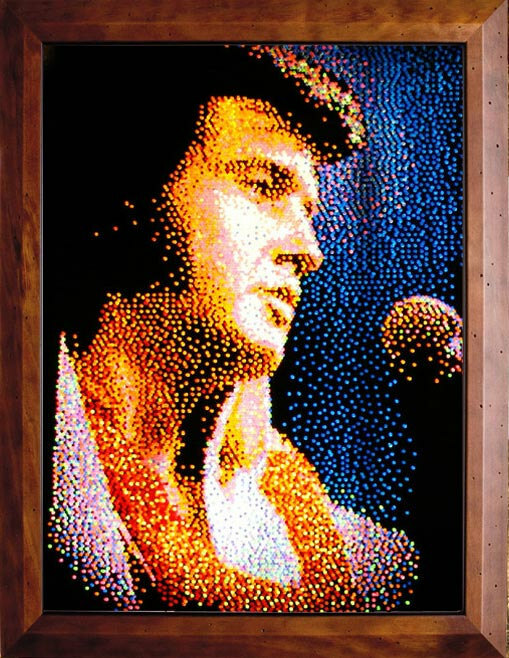 Can you make an awesome Elvis mural? Probably not; but Chris Knight can! 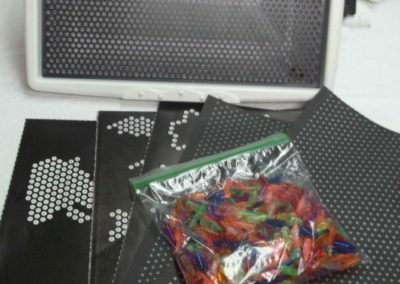 Want to try a LITE-BRITE simulation now?